Help any buddies you have that need a free resume and e-mail them this page. They will appreciate it. Just use the button below. There are 350 ways to use it. Downloading an example--click on save--place on Desktop-using the exact file name or your own. I just always save everything to my desktop because it's so easy for me to find it there later. We have 3 hvac resume formats you should work with while creating your personal resume. Nice formatted look if I do say so myself. Has a great look of organization to it, but does not over due it with too much clutter. These examples are just what is needed to give you a guide of what the finished product will look like after you are done editing the template yourself. What to include when creating your resume. 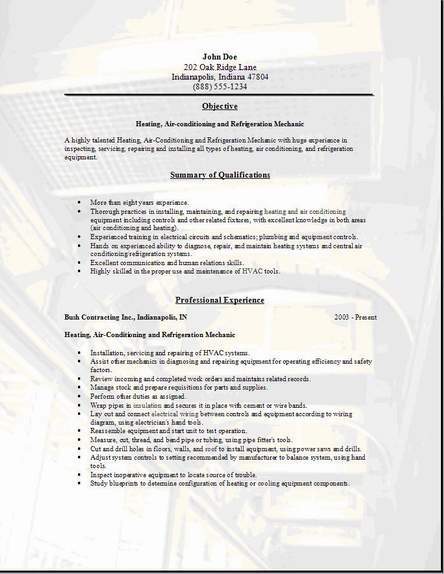 A great HVAC resume gets the employers attention quickly. So your training should stand out, also list your skills, your work experience, ending with your career goals. Using one of our samples above you will represent a neat person who is very organized. Our examples will not clutter your information, but get direct and to the point showing your credentials in detail. The examples are thorough, yet very eye catching. Your Hvac resume has to remain as simple as possible. 1. Your personal info goes at the top like the examples above. 2. Your Objective statement will follow next. 3. Review your qualifications quickly like the sample above. 4. Your work history will be added next below that section. 5. Last but the most important list your education. Tips to help you even further. First after you have completed the download and editing of your new resume, print it out on some nice paper. Then so you stand out, deliver your resume in person. This will put your face with your resume. The people you talk to will have a comment later about you to the boss if you didn't get to talk with them that particular day. After all your hard work, you have already given yourself a head start. 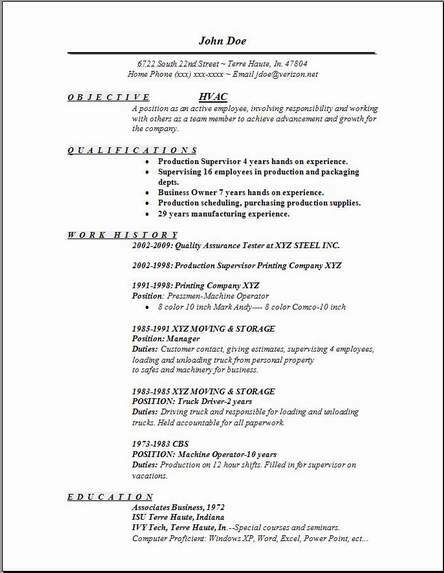 Once you do edit this sample resume, go to look over other pages here on this website to get more information. 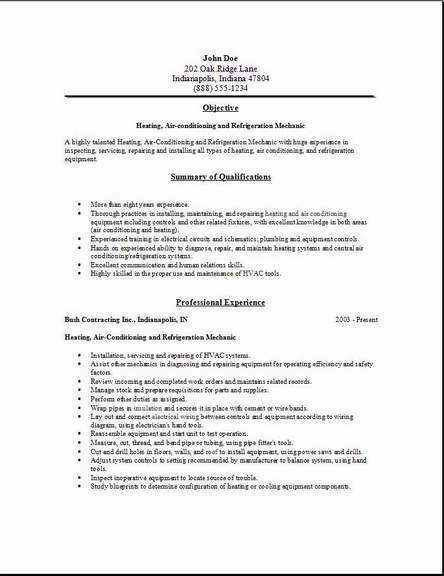 The hvac templates above are a great addition and I know you like the background effect also the choice for you to use 3 most useful example resume formats. You can change the background to a preferred picture that you might have on your computer if you like. Or use what I supplied. It's very easy to change. Well good luck and good job hunting. Best grab that free cover letter. Get it before you leave.